Serving United States and Canadian Musicians for over 63 years! All inventory has now been sold. 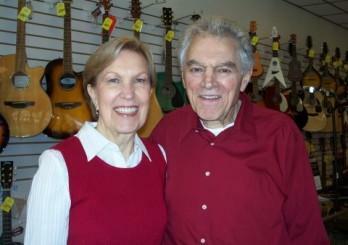 Due to the retirement of Mike and Patricia Ezzy, Ezzy’s Music Shop closed at the end of May 2011. Click here to read entire retirement announcement. Update: All Inventory has now been sold. On behalf of the entire Ezzy’s Music Shop family, Mike and Patricia would like to thank their customers for many years of loyal and generous patronage.